This page explains where to pay a motorist fine and where to file a mechanic's lien. It also explains the real estate tax method for County taxes and explains who to contact for property tax lien sales. The New York State Department of Motor Vehicles collects auto registration fees, not the county. All of the following fines are paid to the local city or town where the ticket was issued. Motorists should read the instructions on the ticket to respond in a timely manner. Refer to this Roster of Principal Municipal Officials for contact information. Overtime parking fines, such as expired parking meters or parking at municipal garages and any fines for tickets issued by any police departments or local enforcement officer. A mechanic’s lien is a legal document describing a financial claim that a subcontractor may have for unpaid services rendered or materials furnished related to a public improvement contract awarded by Westchester County. It is the subcontractor’s responsibility to comply with the New York State Lien Law and regulations. Mechanic’s liens should be filed with and received by the Westchester County Finance Department as well as with the county department or bureau in charge of the construction or demolition. The Finance Department’s accounts payable unit records the receipt of the lien, and then forwards the notice of lien to the Westchester County Law Department to await further instructions. The Law Department determines whether or not the mechanic’s lien conforms to the New York State Lien Law and regulations and advises the Finance Department regarding the county’s payment obligations relating to the notice. Please note that the 25 cities and towns in Westchester collect all real estate taxes, not the county. 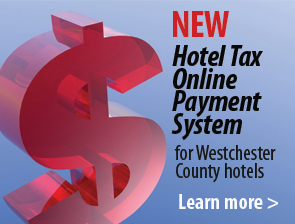 The cities and towns in Westchester also bill and collect the County property taxes. The cities and towns in Westchester guarantee and forward the total amount of County taxes to the Westchester County Finance Department. The cities and towns pursue collection actions, if required, against delinquent property owners. The county does not compute or maintain property tax records for assessments or tax bills for individual homeowners or businesses. The individual property assessment data, tax record history, and tax bills are produced and kept by the 25 cities and towns. Please contact the local municipality for property tax information. Most municipalities allow sending an e-mail to expedite communications. See a listing of the cities and towns in Westchester to contact them if you are interested in assessment or tax information. The County of Westchester does not conduct delinquent real estate property tax lien sales. These occasional sales or auctions are conducted by the 25 cities and towns in Westchester where the property is located. Please contact the local municipality for property tax information. Most municipalities allow sending an e-mail to expedite communications. See a listing of the cities and towns in Westchester to contact them if you are interested in lien sales.